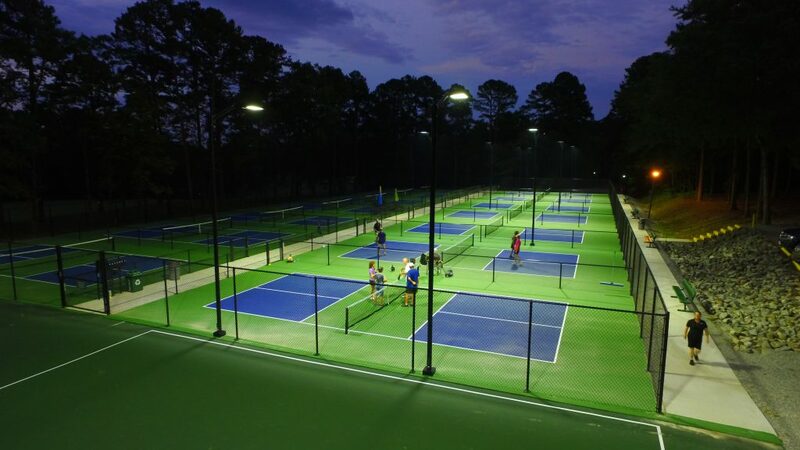 Frasure Reps supplied (16) LSI LED CourtBlade fixtures for Hot Springs Village Pickleball Club in Hot Springs Village, AR. 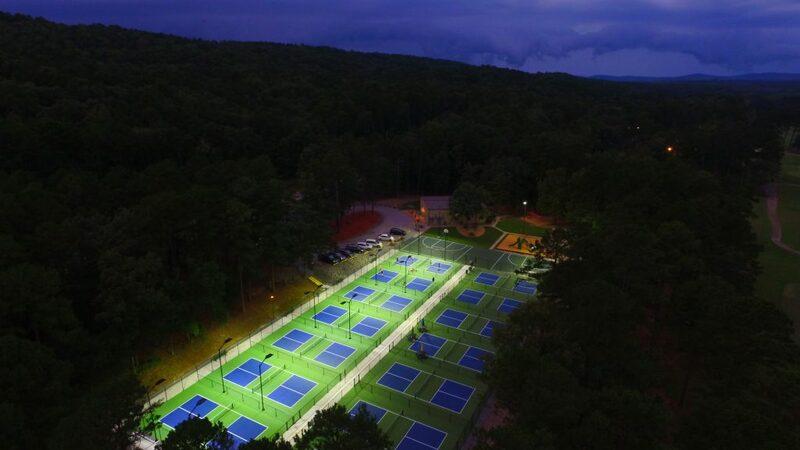 The Club opened 14 new courts, 7 of which are illuminated, in August 2018. The Hot Springs Village Pickleball Club was formed in 2013. Each court is illuminated at an average of over 40 foot-candles. The club currently has over 200 members participating in open play, leagues, tournaments and other organized activities.